EAGLE ROCK — Why would anyone want to spend Saturday (May 2) – the first-ever Bird LA Day – inside an Occidental College laboratory looking through cabinets containing 65,000 dead birds? Answer: Because it’s science and because it’s awesome. 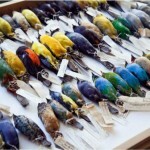 The Moore Laboratory of Zoology at Occidental College is participating in the birding festivities on Bird LA Day with public tours of its massive collection of avian specimens that run the gamut from the Cuban bee hummingbird (the smallest bird in the world) to the impressively large golden eagle. “What we do benefits conservation of these species because basically you can’t protect something [if] you don’t know if it exists,” said director and curator John McCormack. The lab, with the largest single collection of Mexican birds in the world, attracts researchers from all over the globe. Biology and grad students use the cotton-stuffed birds to study genetic traits, biology, etc. ; art students also use specimens as models for sketching and inspiration. The specimens are stored in wooden trays packed into 111 large gray cabinets that have been around since the 1950s. From one of those gray cabinets, McCormack pulls out a wooden tray to reveal a sparkling rainbow of hummingbird specimens. Here’s a sword-billed hummingbird, a giant hummingbird and, upon closer examination, a toothed hummingbird. “If you look under the microscope, it’s terrifying,” he says of the species that boasts a little hook and teeth. The specimens, some of which are more than a century old, are all simply preserved with cotton inside, which makes the birds easier to handle and measure. “If you keep them temperate controlled, you can keep them this way for 100 year or more,” he says. The Moore Lab specimens were originally acquired and donated to the college in 1950 by Robert T. Moore, Pasadena businessman, adventurer, poet and ornithologist who was fascinated by new bird species and subspecies. 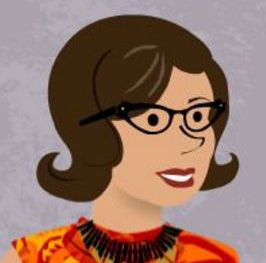 What draws visitors to snoop into the lives of a research biologist?